Art awards are undoubtedly an important mechanism of support for art in contemporary society and contemporary art scene. This mechanism allows the jury and nominators to observe and select artists, artworks and art practices worthy of attention, thus reflecting pressing social challenges and obstacles for art workers in certain regions. In addition, the process and results of the selection opens up intense discussions on the importance and values of contemporary art and local contexts. 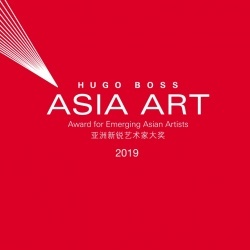 In this conference, we are honored to invite some nominators of the third edition of the HUGO BOSS ASIA ART Award as well as curators, media people, artists, and art educators who have been supporting emerging artists in Asia in their own ways and contexts. We would like to learn more about their engagement with emerging artists and art projects in specific localities, curating art projects to locally and globally promote emerging artists. Speaking from their own observations and experiences, the panelists will share with the audience their understanding of “contemporary” and “emerging”, challenges that artists are faced with, and how independent or institutional forces engage with artists’ practices. This conference will be the centerpiece of its ongoing research and education program alongside the third edition of HUGO BOSS ASIA ART project. In the coming months of the year, we will have a series of education activities related to contemporary art in Asia in terms of research, cultural exchange etc, to fully explore contemporary art in Asia. We believe that it will be meaningful in helping to understand better how art and art award could contribute to the development of specific regions and societies. Daniel Szehin Ho is a nominator of the 2017 HUGO BOSS Asia Art award. He is the co-founder of Ran Dian—a bilingual online and print magazine on contemporary art in China and beyond, with a geo-dispersed editorial team—and is editor-at-large. He is in charge of publications at Tai Kwun, a centre for heritage and arts that will open later this year in Hong Kong. He has also written for ArtForum, Frieze, Kaleidoscope, Art Agenda, Broadsheet, among others, and he has edited and translated numerous museum catalogues in China. Bao Dong is an art critic and independent curator based in Beijing. In contributing essays to the artistic dialogue and other forms of involvement, Bao has established himself as a leading curator and critic of work by the new generation. His articles have been widely published in art journals and artist monographs both at home and abroad. He has curated many exhibitions for a wide range of art institutions including Ullens Center for Contemporary Art, the Art Center of Chulalongkorn University, Guangdong Times Museum, Shanghai Minsheng Art Museum, etc. He was awarded Asian Cultural Council (ACC) fellowship grant in 2014, and became a nominee of Independent Curators International’s (ICI) 2014 Independent Vision Curatorial Award. Recently he was awarded Yishu Awards for Curating Contemporary Chinese Art 2016. Meiya Cheng is a nominator of the 2017 HUGO BOSS Asia Art award. She is a freelance curator based in Taipei. She was the curator of MoCA Taipei (2006-2008), the chair of Taipei Contemporary Art Center (2012-2014). 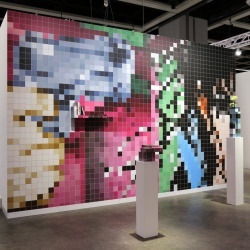 Her selected curating exhibitions include: Augmenting the World, (The 6th Taipei Digital Art Festival, international section, Bopiliao historical block, Taipei, 2011) Trading Futures, (co-curated with Pauline Yao, Taipei Contemporary Art Center, 2012), 6th Queens International (co-curated with Hitomi Iwasaki, Queens Museum, NYC, 2013), The Great Ephemeral (co-curated with New Museum team, New Museum, NYC, 2015), Public Spirits (Centre for Contemporary Art Ujazdów Castle, Warsaw, 2016). Cheng focuses on the exchange mechanism of labor and value, and the structural issues in art production. She intends to discuss the possibilities of creating an open structure in institutions, and if such models could serve as a mechanism to create changes in the system. Cheng participated in the founding and operation of Taipei Contemporary Art Center since 2009. With teamwork as the working model, she tries to builds up an alternative model that constantly examines and self/examines institutional the conditions in art production. 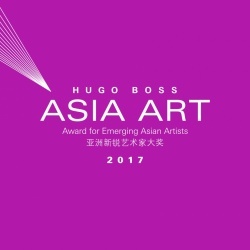 Yap Saubin is a nominator of the 2017 HUGO BOSS Asia Art award. Yap teaches at the Faculty of Creative Multimedia, Multimedia University, Malaysia. He is also a founding member of Rumah Air Panas [RAP], an artist initiative based in Kuala Lumpur. 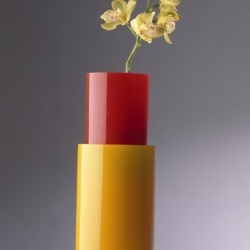 He had received awards in the Young Contemporaries Arts Award by the National Art Gallery, Malaysia in 2000 and 2002. His practice encompasses making art, writing and curatorial project with RAP. Yap had contributed as writer and member of editorial team for the ‘Narratives in Malaysian Art’ volumes published by Rogue Art. He has also served on the jury panel for the Young Contemporary Arts Award in Malaysia; as the nominator for the Sovereign Asian Art Prize and the Aritist-in-residency programme at Arts Maebashi, Japan. His recent curatorial project includes ‘ESCAPE from the SEA’ at the National Art Gallery and is currently based in London for a year. Amy Cheng is a curator and writer based in Taipei. In 2010, with music critic Jeph Lo, she co-founded TheCube Project Space, which serves as an independent art space devoted to the research, production and presentation of contemporary art in Taipei. With the aim of delving deeply into local culture and establishing long-term relationships with artists, Cheng explores the possibility of “expanding curating”. Since 2009, she has carried out several research projects, including “Sound Cultures in Taiwan” and “Critical Political Art and Curatorial Practice Research”, for which she contributed to and edited the publication Art and Society: Introducing Seven Contemporary Artists. In 2016, she begins organizing cultural study courses outside the establishment, the “Praxis School” lecture series. Recent exhibitions curated by Amy Cheng include: “The Heard and the Unheard: Soundscape Taiwan, Taiwan Pavilion at the 54th International Art Exhibition—La Biennale di Venezia” (2011), the exhibition series “Re-envisioning Society” (2011–2013) and “Towards Mysterious Realities” (2016). 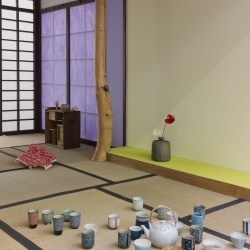 She also co-curated these exhibitions such as “ALTERing NATIVism—Sound Cultures in Post-War Taiwan” (2014), and “Tell Me a Story: Locality and Narrative” (2016, 2018). Wu Mo is a nominator of the 2017 HUGO BOSS Asia Art award. She is currently a PhD candidate at the Department of Fine Art in the Chinese University of Hong Kong (CUHK) and works as an art critic and curator based in Hong Kong. Her research focuses on the development of contemporary Chinese art and related system changes since the 1980s, with her master’s degree in art administration obtained from the Central Academy of Fine Arts (CAFA) in 2012. She has contributed her art reviews and translations to media and academic journals such as The Art Newspaper China, Leap, Chinese Contemporary Art Studies, Artforum Online and Randian, and also worked as an editor for various art publications. She was nominated for the first International Awards for Art Criticism (IAAC), and curated exhibitions at Today Art Museum and CAFA Art Museum in Beijing and Para Site in Hong Kong. 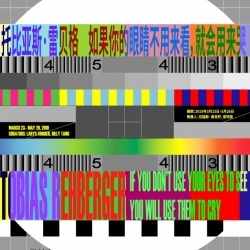 Azure Wu is a curator and art critic based in Shanghai. She serves as an associate editor at Public Art Magazine. She was previously a senior editor at Art China Magazine and curator at Shanghai Duolun Museum of Modern Art and Zhu Qizhan Art Museum. Her curatorial projects include group exhibitions such as “the Disappeared of Nature,” “Portrait of the Youth” and “Shanghai Surprise – A Group Show on Contemporary Art in Shanghai” and solo exhibitions such as “Li Jinghu: One Day in Dongguan,” “Jia Aili: Good Morning, World!” and “Qi Lan: In No Hurry. ” She has contributed her art reviews to numerous publications and media. Liu Yingjiu is Deputy Director of RAM in charge of the museum’s daily operation and education programmes. He joined the Rockbund Art Museum in 2009 as curator and oversaw the organization of the highly acclaimed opening series of exhibitions in 2010, such as Cai Guo-Qiang: Peasant Da Vincis and 2010 Zeng Fanzhi. Before that, he was the Deputy Director of Curatorial Department at He Xiangning Art Museum in Shenzhen. Holding an MA in Museum Studies from the University of Leicester, Liu Yingjiu has extensive knowledge in contemporary art and museum theories, as well as rich experience in museum administration and project management. He was invited to give lectures at the State Bureau for Cultural Relics, CAFA, and participate in professional exchanges on international and domestic occasions. Hsieh Feng-Rong is senior curator and founding staff member of Rockbund Art Museum; he joined Rockbund Art Museum in 2009 during its preparatory stage. He was the coordinator of the renovation process and implemented the institutional structure of the museum. He has been working with many internationally renowned artists, including Cai Guoqiang, Zeng Fanzhi, Zhang Huan, Michael Lin, Duan Jianyu, Hu Xiaoyuan, Xu Bing, Bharti Kher, Ugo Rondinone, Mark Bradford, Chen Zhen and Philippe Parreno. In 2013, he got involved in founding the first HUGO BOSS ASIA ART award and was also the project manager for the award. Recent exhibitions curated by Hsieh include: “Tell Me a Story: Locality and Narrative” (co-curated with Amy Cheng, 2016, Shanghai), "RAM HIGHLIGHT 2017: DISPLACE" (curatorial team, 2017, Shanghai), "Walking on the Fade out Lines"(co-curated with Larys Frogier, 2018, Shanghai), “Tell Me a Story: Locality and Narrative” (co-curated with Amy Cheng, 2018, Turin). Chen Dan is Education Manager at Rockbund Art Museum with a master’s degree in interpreting from Graduate Institute of Interpretation and Translation at Shanghai International Studies University.